To celebrate the 30th anniversary of Aco Šopov’s death, the Luxembourg publishing company PHI published this selection of thirty poems in a bilingual French-German version. 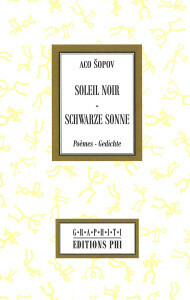 They were translated into German at the end of the seventies by Croation poet Ina Jun Broda[1899-1983] then living in Vienna(Austria) and reviewed for this first publication by Nico Helminger and Isabelle Grangeon. 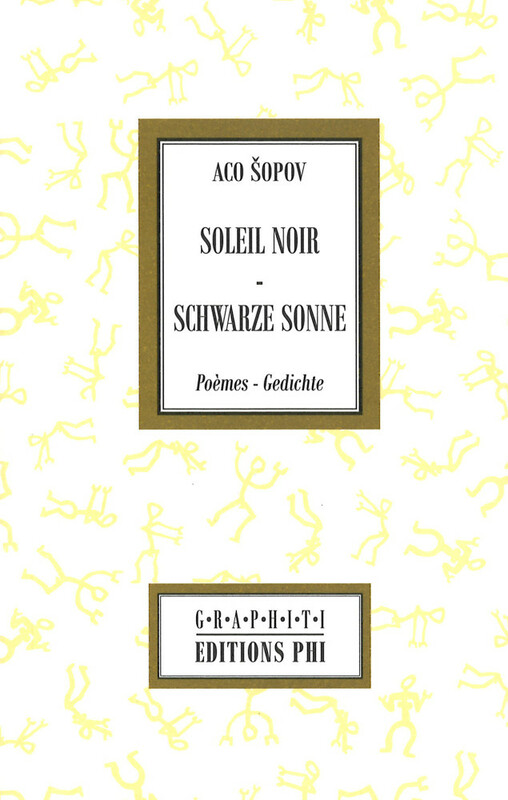 We owe the French adaptation to the Maurician poet Edouard J. Maunick, who published an important volume of Aco Šopov’s poetry at éditions Actes Sud/UNESCO, in 1994. « Aco Šopov’s poetic quest transcends geographical and historical boarders», according to Jasmina Šopova’s preface. « It precipitates the poet towards his personal abysses and at the same time entices pushes him to explore the immemorial times of the beginning of the world. It brings together, in a single intimate experience, the poet’s life, his country’s fate and the common destiny of humanity». More information about the launching event of this book in Skopje. Click here for a choice of photos of the book’s signature ceremony in Paris.